The New York State Gaming Commission has fined AmTote International a total of $10,000 for two separate incidents during the Oct. 13 race card at Belmont Park, according to the Daily Racing Form's David Grening. The commission issued a $7,500 fine to the company for filing to close wagering before the first leg of a multi-breed pick four from Yonkers/Belmont, and $2,500 for failure to communicate a pool closing and reopening. 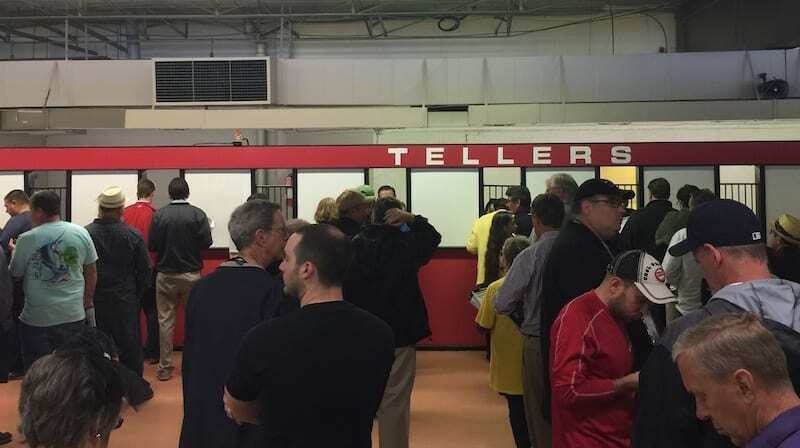 According to documents from the commission, the pool for the pick four wager remained open for just over a minute and a half past the official scheduled closing time for the first leg, at Yonkers. When tote operators realized the mistake, they accidentally closed wagering for Belmont's sixth race instead, and later had to re-open it. The commission stated none of the stewards were consulted before wagering was reopened on the Belmont race. AmTote told the Form there were some processes and safeguards “compromised” on that date, and the company will take steps to avoid similar errors moving forward. This entry was posted in NL List, The Biz and tagged amtote, belmont park, horseplayers, New York Gaming Commission, yonkers by Paulick Report Staff. Bookmark the permalink.